Want to get your hands on some free backing tracks? Thought so! Click the link at the bottom of this page to go the the GMI shop and get all of the free backing tracks. If you are looking for guitar backing tracks then you’ve come to the right place! Here are a few for you to download. However, if you sign up to GMI – Guitar & Music Institute, you can get your hands on a whole lot more guitar backing tracks. To get your hands on all our backing tracks CLICK THIS LINK which directs you to the GMI online shop. The backing tracks are all completely FREE. We hope you enjoy using them and get a lot of fun out of improvising over them. By the way, each backing track download comes with a PDF which includes a chord chart for you to work from. 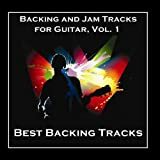 Many of these backing tracks come from our FASTLINES guitar tutor range. You can purchase from our guitar books for sale page. They are low cost and each package comes with twenty licks, a short solo and explanation. Each package also includes a written project section for you to work with. Love the blues? So do we. This is a great sounding track for those looking to play over a key that is often used in jazz but is perhaps a little less used in rock music. This is a slow blues that would be perfect for creating your own melody, or indeed just jamming over. This track is mid tempo and Stephen has created a great driving rhythm and guitar sound. Would be great for use with pentatonics and also for tapping over. Enjoy! Track is slightly reminiscent of the band Free. If your into this sound, then you’ll love Stephen’s third track. We hope you enjoy using these tracks and tell others about them. Simply click on the following – GMI ONLINE GUITAR SHOP and there you can get your hands on an ever growing range of quality free downloads in many styles including jazz, rock and blues.